After almost four months of stagnation in my real estate investing, I’m experiencing some significant breakthroughs and generating massive momentum. I’m closing three to four deals a month now (up from one to two three months ago). The demand for my short sale investing mentorship is higher than it has ever been… I’m almost at maximum capacity! The “Your Do Over” podcast at iTunes is attracting subscribers like I can’t explain… without any promotion whatsoever. I had planned to release a Do Over Workbook, an online coaching program and a one-on-one success coaching program Summer 2011, but these new accomplishments and insights have me so excited about my own results… I don’t want to wait. I want to share them with YOU. I’m going to implement this plan sooner rather than later. Before revealing how I was able to turn everything around so fast to the public, however, I want to take a select number of people through the success coaching program to see if I can use these new insights to create even faster breakthroughs and results for them. I have some new strategies and ideas that I would like to try that I believe will produce some great results, regardless of what you want to accomplish. I will be using your goals and dreams as examples in the future, and I will be using the entire experience to refine the Do Over Workbook, the online coaching program and the one-on-one success coaching program. The reason I am choosing 5 people to success coach is because I have 5 different strategies of which I want to try. If you’re already experiencing some success, I can help you get to the next level. If you’re currently experiencing a low point and need to start over from scratch, I can help you, also. I’ll be focusing on where you are right now and getting you to where you want to be. Of course, I cannot guarantee results, but I can promise that you will get my very best from the beginning to the end of the program. Because I am giving away my key strategies, and committing the time and energy to help you achieve your goals I would like to be compensated, but having said that… you are actually helping me refine and create what I believe to be a revolutionary online program and success coaching is not my primary income anyway, so I’m going to keep this fee very reasonable. For one-on-one success coaching for the next 60 days, I have decided on a one-time fee of $597. 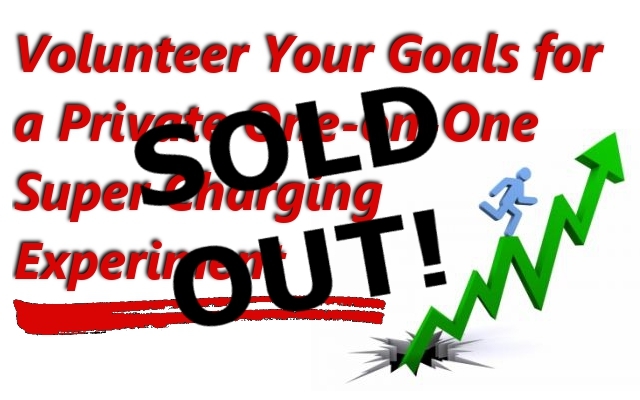 After this 60 day experiment is complete and you have helped me sharpen and improve this revolutionary program, I will launch my one-on-one success coaching program somewhere in the range of $1,297 per month. My goal is to help you get from where you are right now to where you want to be in the next 60 days. It will depend on what your ambitions are, but even if I get you 50% of the way there, $597 will be a steal. Nonetheless, the price feels right and I want you to succeed. 2 thirty-minute success coaching calls per week for 60 days, but I plan on spending more time with you than this… after all, the intent of this program is to produce great results. Unlimited email access to me. A copy of Do Over (Paperback, Audio Book and eBook). A copy of the Do Over Workbook once it’s complete. Lifetime membership to my online coaching program and materials. Lifetime Free access to my live Do Over Plan workshops. How will I select the first 5 people? First come, first served. I will simply turn off the PayPal shopping cart after I have received 5 orders. I’m looking forward to working with you and helping you hit the ground running in 2011. Cheers, peace and blessings of abundance! Like	. Dislike	. December 5, 2010, 9:04 pm . Like	. Dislike	. December 10, 2010, 11:13 am . Like	. Dislike	. January 19, 2011, 6:01 am .